Sunday, July 31st 6:00-10:00 p.m.
Join GlenHouseArt and artist Jennifer Rosengarten, Professor of Painting and Drawing at the University of Dayton for Salon! : an evening of food, wine, music, fine art and conversation this Sunday, July 31st from 6-10pm. 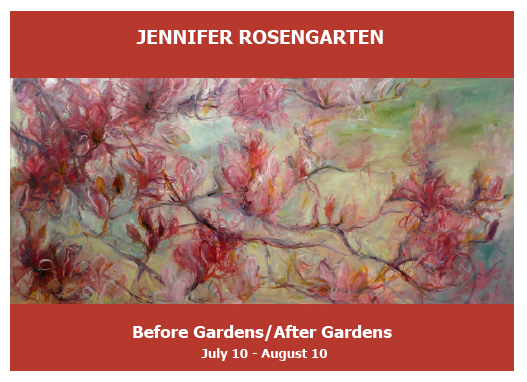 The public is invited to Glen House Inn to view Ms. Rosengarten’s newest exhibit Before Gardens/ After Gardens and join in a discussion of her work at starting at 7pm. Acoustic music by Ben Cooper and Israel Parker is featured from 8-10pm with wine and finger food. 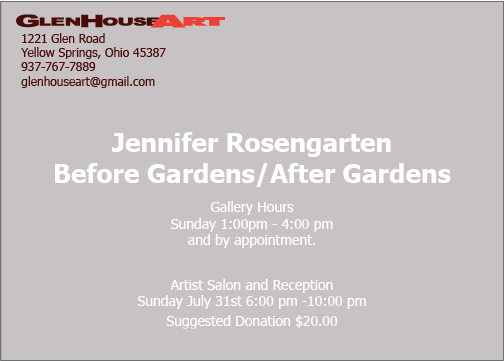 Suggested donation is $20.00 with all proceeds going to support the ongoing programming at GlenHouseArt.